If you need to sell a house fast in Philadelphia … you’ve come to the right place because we make fair all-cash offer or properties As-Is. West Philadelphia, North Philadelphia, South Philadelphia or Southwest Philadelphia — we can close the sale and have a check in your hand in as little as 10 business days. From Point Breeze to Overbrook, or anywhere in between or around … We buy houses Philly! We buy houses Philly in ANY condition… AS-IS … contact us now and we can take over the burden of that unwanted property. What we won’t do, is make an offer over the phone. We are Not a Company who knows Nothing about Our City. We are from here and We understand the Area and the People. We specialize in buying probate and estate properties, so if you are settling an estate, or have inherited a property that you DO NOT want, contact us today! No matter what type of situation you are facing, we can help. Are you . . . going through a divorce? relocating? unable or unwilling to make needed repairs? trapped by tax liens? behind on payments and trying to avoid foreclosure? a landlord who has had it with bad tenants or carrying costs on vacant property? having no success selling “for sale by owner” or through a real estate agent? Basically, if you have a property and need to sell it… we’d like to make you a fair CASH OFFER and close on it when you’re ready. 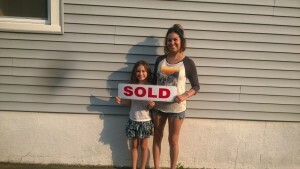 From Bella Vista to Packer Park contact us now if you have a house to sell — we buy houses South Philadelphia! Fill out our Fast Response Form here. Do You Need To Sell A House in Philadelphia? We Buy Houses Philadelphia! Want to sell your South Philly house fast? Contact us today! Throughout Philly, we buy houses … yours may be near Tasker Ave. or Woodland Ave., Lansdowne Ave. or Diamond St., no matter the location, we buy houses Philly! We help people just like you, in all kinds of situations. Whether you are dealing with settling an estate, burdensome rental property, foreclosure and all kinds of other situations. We buy houses Philadelphia, quickly and for cash. Sometimes, those who own property simply have lives that are too busy to take the time to do all of things that typically need to be done to prepare a house to sell on the market… if that describes you, just let us know about the property you’d like to be rid of and sell your house fast for cash. We buy houses in Philadelphia and the Delaware Valley. If you need to sell a house fast in Philly, contact us now. We are available to view properties seven days a week, at a time that is convenient for you. … we’d love to make you a fair no-obligation no-hassle offer. You’ve got nothing to lose!